« Adobe Media Player launches – does the world need another Internet TV app? 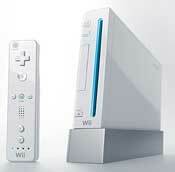 Initially, iPlayer on Wii will be accessible via the game console’s Internet channel, just like any other Website. However, signaling that this is an official partnership between the BBC and Nintendo, the latter will send out a message to all UK Wii owners whose consoles are connected to the Internet, alerting them to the iPlayer’s availability. The BBC and Nintendo intend to refine the Wii version of iPlayer throughout the rest of 2008, eventually offering the catch-up service through its own dedicated Wii channel. On the same day as the Wii version was announced, the BBC released the latest iPlayer viewing figures, which, inevitably, was preempted by the latest ISP backlash against the service due to its high bandwidth consumption. Very good article. Thanks for the good information. Does anyone know if this ever came to fruition?